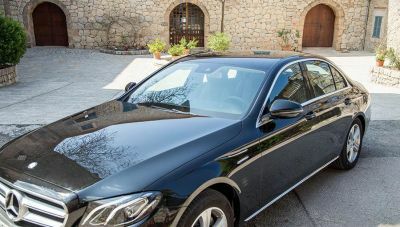 To get around Mallorca, Balearic Islands in confort we offer driver services with a private English-speaking chauffeur at your disposal to take you around the islands. You can be picked up and dropped off from your hotel, cruise ship, airport, or other locations. Choose from our selection of vehicle types (eg. Mercedes Benz E-Class Sedan, Minivan, etc...) and services. For larger groups and company incentive trips we can offer luxury minibus and coach services on request.